After landing in Cagliari late in the afternoon, we hopped into our car and found the first beach we could in Villasimius and just went for a walk! 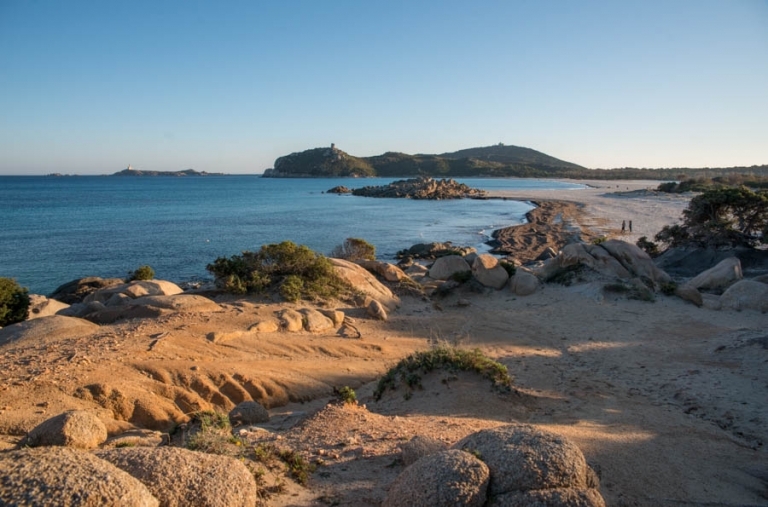 Here’s what we thought of Spiaggia di Simius on Sardinia. 4 What else can you do on Sardinia? The Spiaggia di Simius is one of the main beaches in Villasimus. 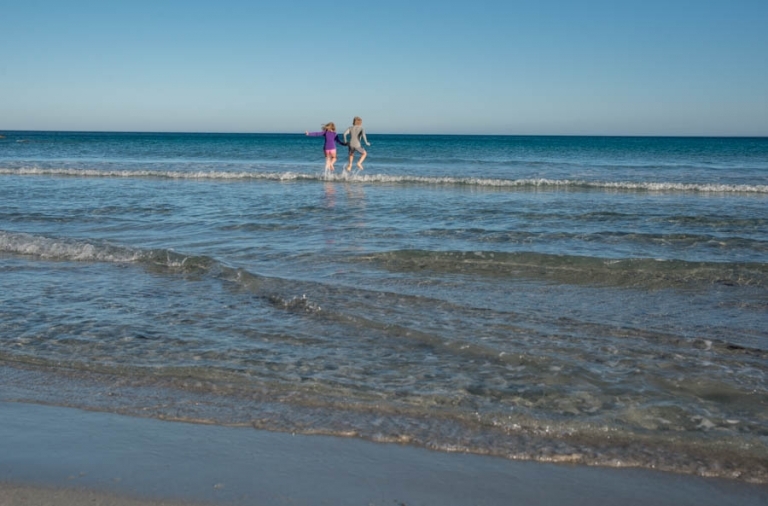 In March when we visited it was 22*c; during the day the beach was almost empty but it comes alive for sunset when people walk themselves and their dogs. 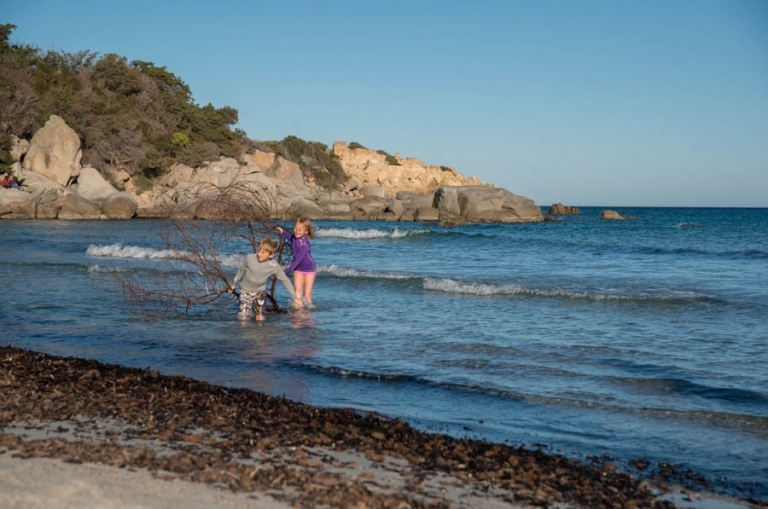 The waters are clear, the sand is pale and the waves are little… In the spring and winter months there’s quite a lot of sea debris along Simius beach; dried seaweed, some branches and heads of sea plants. Of course our kids picked up the largest branch they could find and insisted on dragging it behind us up the beach! We decided to walk west (down) the beach and we came across the rocks of Timi Ama and of course we had to climb them to see what was on the other side! NO we are NOT dragging a tree behind us up the beach!!!! The rocks of Timi Ama separate Simius beach from Notteri beach and when climbed, they glow orange at sunset. I managed to get some photos of Rich and the kids in the golden hour glow which made me very happy. This is just a really short blog and in all honesty nothing majorly exciting or eventful happened here. 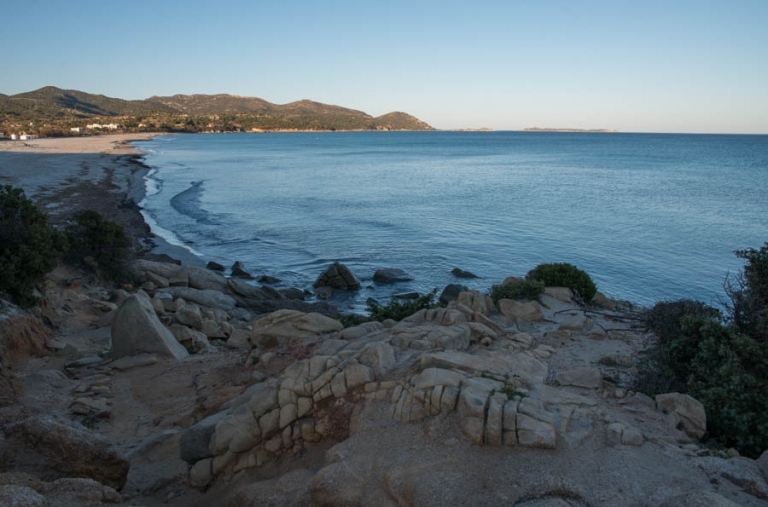 The only reason I am blogging about it is because prior to our arrival I found it difficult to find English blogs detailing the beaches of Villasimius. What else can you do on Sardinia?